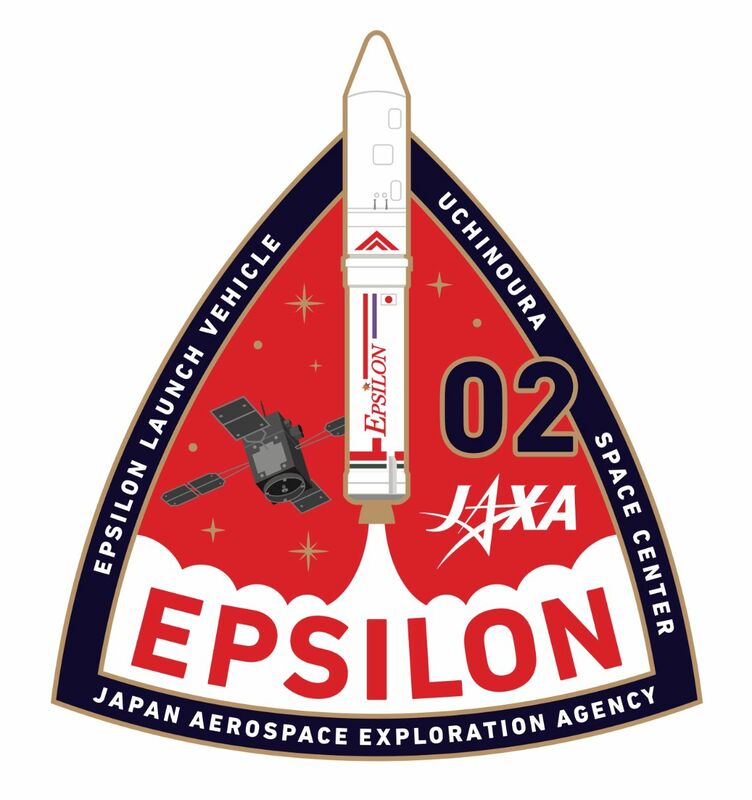 The Enhanced Epsilon – sporting more powerful rocket stages and structural improvements – is set for liftoff from the Uchinoura Space Center in south-eastern Japan during a one hour window opening at 11 UTC on Tuesday. Firing its three solid rocket motors, Epsilon will send the 365-Kilogram particle and waves observatory on its way thirteen and a half minutes after liftoff, targeting a highly elliptical orbit peaking 33,000 Kilometers over the equator. 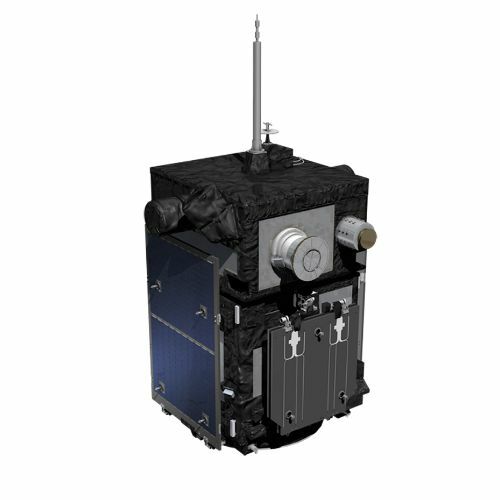 ERG (Exploration of energization and Radiation in Geospace) is a small satellite mission to explore Near Earth Space – more precisely the high-energy particles inhabiting a vast area around Earth and the processes that drive particle acceleration for a better understanding of space weather dynamics which can have an effect on satellites and crews in orbit. Spinning around its axis once every eight seconds, ERG will punch through Earth’s radiation belts and measure energetic particles and electromagnetic fields by deploying a pair of five-meter long booms and four fifteen-meter long wire booms to sweep through the sea of charged particles and highly variable energetic waves surrounding Earth. The instruments allow ERG to capture data across a wide energy range and for a variety of species to deliver a comprehensive picture of the particle population in near-Earth space and changes undergone due to external influences. 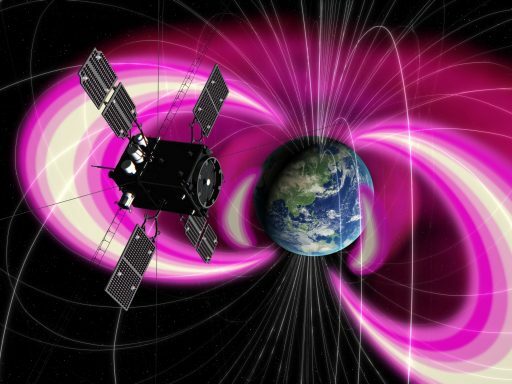 The mission’s particular focus is on electrons and how they are accelerated to speeds approaching the speed of light – an important piece in the puzzle of a complex interplay between waves and particles that inhabit Earth’s radiation belts and affect satellites in orbit and also present a potential danger to crew members in space. ERG attempts to make a direct measurement of the energy flow among waves and plasmas to further the current understanding of the cross-energy coupling driving highly-energetic space weather processes. 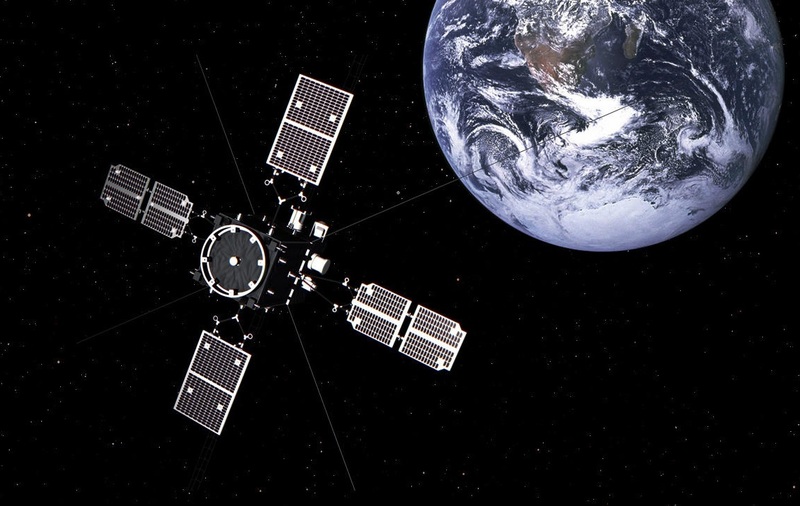 ERG introduces a new approach to become the first mission to obtain a direct, quantitative measurement of the energy exchange by wave-particle interactions by using an innovative onboard processing system to conduct science processing directly on the spacecraft instead of radioing vast amounts of raw data to the ground. Orbiting Earth in a highly elongated orbit, ERG is aiming for a high point within the outer Van Allen Belt, a region where scientists suspect electron acceleration is taking place at the highest rate. An inclination of 31 degrees was chosen for the mission so that ERG can measure the propagation of particles and plasma waves away from the equatorial plane into Earth’s radiation belts. A slow decline of the spacecraft’s orbit over the one-year+ mission duration allows ERG to sample areas where different processes are believed to be responsible for electron acceleration and depletion. 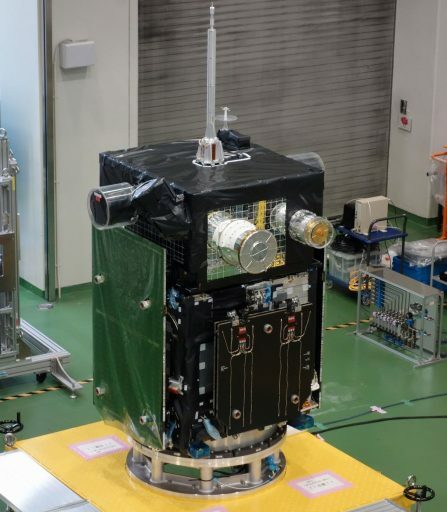 JAXA’s ERG mission is launching on the inaugural mission of the Enhanced Epsilon rocket, an improved version of the original Epsilon that flew for the first and only time in September 2013. 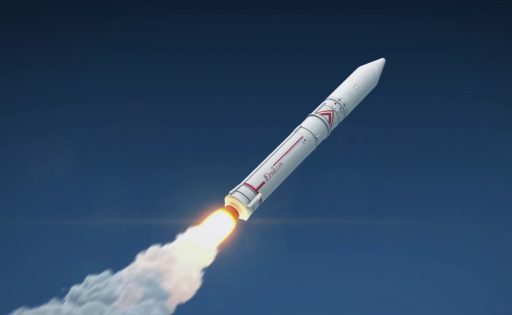 The Enhanced Epsilon is considered the operational version of the rocket, offering a 30% increase in performance over the pathfinder design flown three years ago. 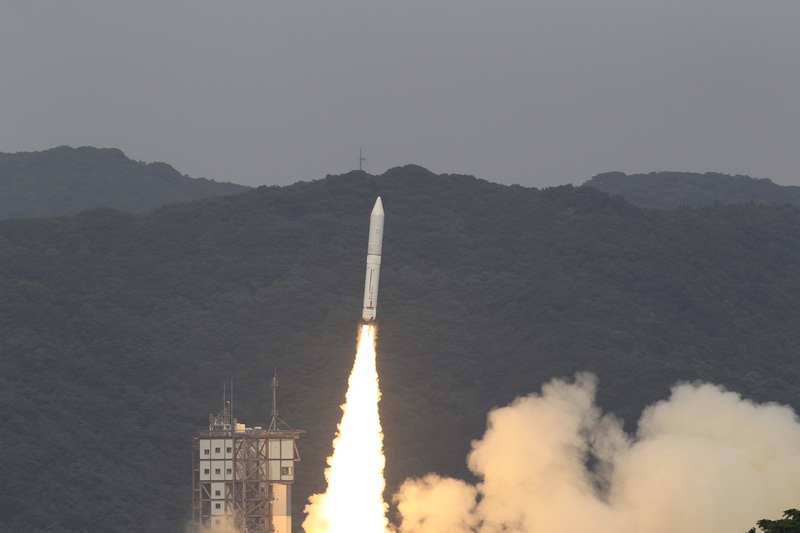 The first Epsilon mission in 2013 successfully demonstrated the launch vehicle’s design, however, a number of performance improvements had already been in the pipeline at that point to boost the rocket’s performance, specifically for the ERG mission and Japan’s Asnaro Earth-observation program. The Enhanced Epsilon is a three-stage, all-solid rocket standing 26 meters tall, measuring 2.6 meters in diameter and weighing in at 95 metric tons – capable of lifting 1,500 Kilograms into Low Earth Orbit and 590kg to Sun Synchronous Orbit when flying in a four-stage configuration with a hypergolic-fueled Post Boost Stage sitting atop. The first stage of the rocket is a 75-metric ton SRB-A3 Solid Rocket Booster borrowed from the H-II series of rockets as an existing design that was modified for three-axis control during ascent by adding a solid-fueled roll control jet. Stage 2, designated M-35, represents the biggest change between the inaugural Epsilon and the enhanced version – replacing a deployable nozzle extension with a rigid vacuum-optimized nozzle, increasing the size of the Solid Rocket Motor and switching to a cheaper, but equally powerful propellant formulation. 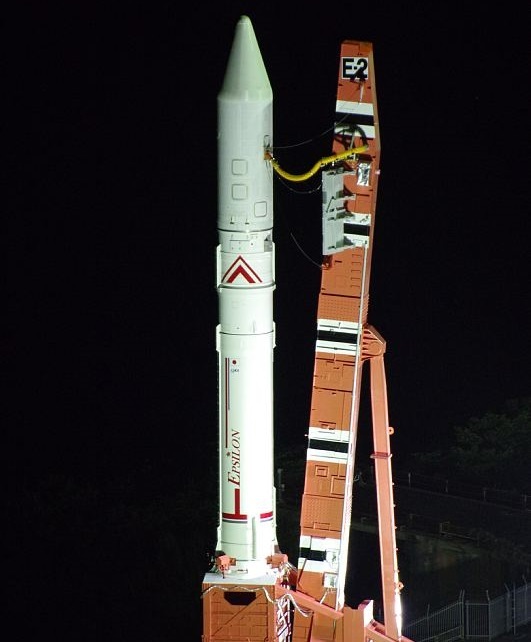 The third stage also switched from an extendable nozzle to a rigid design, causing Epsilon to grow by 1.6 meters compared to the rocket flown in 2013. 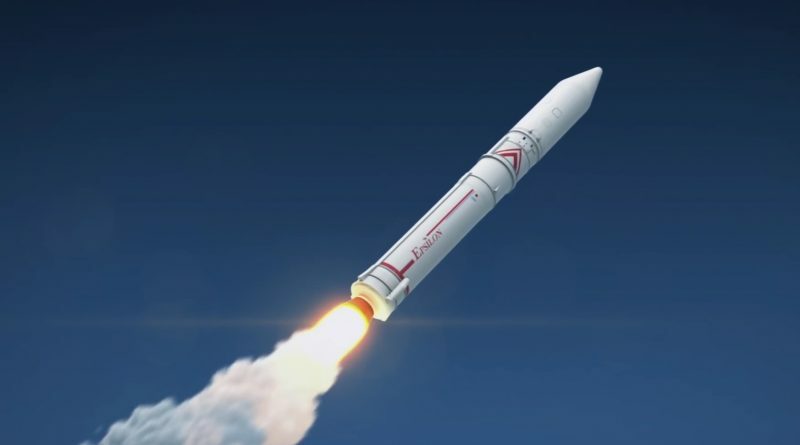 The design change on the second stage, widening its diameter, also had the side effect of increasing the space available under the rocket’s payload fairing because the second stage no longer needs to be protected by the fairing – allowing taller satellites to fly on the Epsilon rocket. Tuesday’s mission to a highly elliptical orbit omits the optional Post Boost Stage, only using the solid rocket stage to accomplish the high-speed injection. 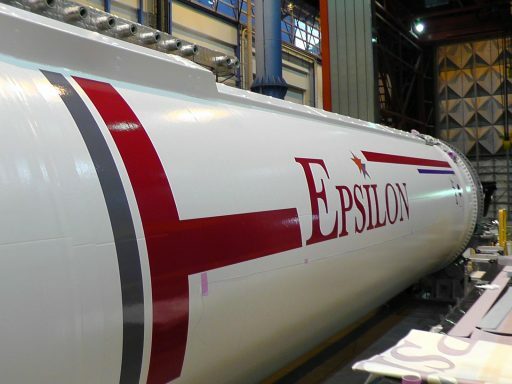 Designed for a streamlined countdown-to-launch, Epsilon will enter countdown operations three hours prior to the opening of the launch window with power-up of the rocket at L-2 hours and 40 minutes for a series of automated checkout sequences involving the flight control systems of the rocket. ERG will be configured for flight at L-15 minutes and the Automated Countdown Sequence picks up just 70 seconds prior to ignition to take the rocket through the final critical events such as transfer to internal power, pyrotechnics arming and the activation of thermal batteries that power the electromechanical thrust vector control system on the first stage – a step that can not be reversed in case of a late launch abort. The countdown is completely in the hands of ROSE – the Responsive Operation Support Equipment, an autonomous control system that can take Epsilon through a fully-automated countdown – only requiring human intervention in case of issues. ROSE will perform a final health check of the rocket before switching off at T-1 second, the last possible time to abort the launch. When clocks hit zero, Epsilon will fire up its powerful first stage an catapult itself off the ground with a thrust to weight ratio approaching 2.5. The SRB-A3 first stage will generate up to 239 metric ton force of thrust over a burn of 109 seconds to accelerate the rocket to a speed of 2.5 Kilometers per second, burning out 71 Kilometers in altitude. Epsilon will hold onto the spent first stage for a brief ascending coast phase with payload fairing separation occurring right at the T+2.5-minute mark when passing 115 Kilometers in altitude. The 11.7-meter long first stage will drop away from the vehicle two minutes and 41 seconds into the flight followed four seconds later by the ignition of the M-35 second stage, tasked with increasing the rocket’s velocity by 3.6 Kilometers per second. Taking advantage its greater fuel load of 15 metric tons, M-35 will fire for 129 seconds with a thrust of 45 metric ton force. Another coast phase occurs after burnout of the second stage with stage separation not expected until T+6:38 to hand over to the KM-2Vc third stage that will fire up four seconds later to finish the high-speed injection. Stage 3 consumes two and a half tons of propellant and delivers ten metric-ton-force of thrust over a 89-second burn, raising the vehicle’s speed by another 4.3km/s. Injection is expected at an altitude of 224 Kilometers and a speed of 10.2 Kilometers per second for a target orbit of 219 by 33,200 Kilometers, inclined 31 degrees to either side of the equator. ERG separation is expected 13 minutes and 27 seconds after launch when thrust on the third stage motor has fully tailed off.